states. The Congress was highly opposed to this set up and passed resolutions on more than one occasion that when it gets freedom, India will administer through provinces carved out on the basis of language. After dawn of independence it forgot all such promises and started reorganisation only after some precious blood was shed in South India and elsewhere. The Sikhs had to peacefully struggle for 20 long years to get a province carved out on the basis ol language. *The Congress assures the Sikhs ... and other minorities that no future constitution will be acceptable to the Congress that doesn't give full satisfaction to the parties concerned. Come independence and the draft of constitution of free India provides 'the Sikhs are Hindus'. The Sikh objection to it and other such anti-Sikh provisions remains ignored and they are told in no uncertain terms 'O.K you may not sign it but understand times have changed now.' This country is dear to us, please some one convey it to Nehru' pleaded the Sikh leaders. Maulana Azad said, 'Na bhai na, Panditji to accha khasa Hindu hai.' [No, man no, Panditji is a 'pucca' Hindu) God knows what was there in J.L.Nehru's mind but he spared no energy to alienate a community whose sacrifices for country's freedom were more than any other nation [86% of the freedom fighters hanged were Sikhs. 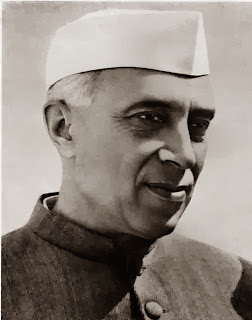 Mentioning Jawahar Lal Nehru as his successor M.K Gandhi had written that "When I am gone, he will speak my language.' He carried on relentlessly Gandhi's policy of intolerance of Sikhism. Nehru in 1951 aspired to attain the position he conceived for himself in 1937, of being an arch Machiavelli or Chanakya. Nehru perfected the instruments of Brahmin-Bania raj, and also laid the foundation of ' institutionalized corruption. In Punjab, he took advantage of growing Hindu-Sikh communal schism to marshal Punjabi-renegade Hindus, a minority, behind him. He made no efforts to discipline errant Congressite Arya Samajists propagating for disowning of their mother tongue Punjabi by their co-religionists in the 1951 census in Punjab and Pepsu. ln the words of C.Raiagopalachari, [Nehru! introduced 'license and permit raj. 'He said he was more interested in development. Secondly, he said that the money had remained within India'. -Verily, Nehru laid the..foundation of a modern but obsolescent and corrupt India. So far as the Sikhs are concerned, Nehru's attitude towards them could be summed up in one word, 'malicious'. It were these yearnings that later led him to promote schismatic Sant Nirankaris [and other gurudoms] to weaken Sikhism. The Akali Dal manifesto of August 29, 1961, averred: The true test of democracy, is that the minority should feel that they are really free and equal partners in the destiny of the country; it is vital that a Punjabi-speaking province should be carved out." Speaking on Gandhi Jayanti, October 2, 1957, Nehru dubbed Punjabi speaking state as a "Sikh state". He adduced that conceding it would imperil the northern borders of India. Nehru's outburst at the public meeting of Patiala on January, 4, 1951. 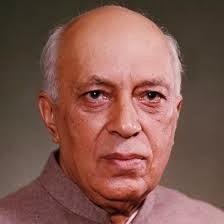 'l will not allow India to be divided again", was expressive of typical Nehruvian malignant attitude towards the Sikhs. In Punjab, Partap Singh Kairon had the support of the Congress legislative party. But since a Sikh whatever denomination was not yet acceptable to Punjabi-renegade Hindus, at Nehru's intervention Bhim Sen Sachar instead was inducted as Chief Minister. In Pepsu, United Front under the leadership of Gian Singh Rarewala - of Shiromani Akali Dal was in majority but instead Col. Raghbir Singh of minority Congress was inducted as Chief Minister. That only indicated that right from the inception of the electoral process, Congress with its ill-gotten, inflated, strength at the Centre, was not willing to respect the people's will. 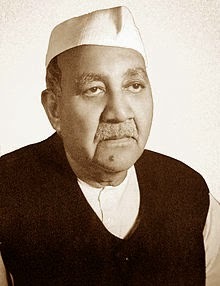 Col. Raghbir Singh was defeated on the very first day of the meeting of the Assembly and had to resign" Gian Singh Rarewala was sworn in as Chief Minister of United Front government on April 20, 1951. He had the distinction of heading the first non-Congress government formed in an Indian state. The Central Government started day to day interference in the daily administration of Pepsu. For instance the United Front Ministry was prevented from inducting a Harijan member as Minister. The first steps towards formation of linguistic provinces was taken on December 19, 1952, when Nehru agreed to the formation of Andhra Province, following three days of rioting after Potti Sriramulu's death by fasting on this issue. Though Nehru had agreed to the formation of Andhra in 1949, it required Sriramulu's blood to force his hands. 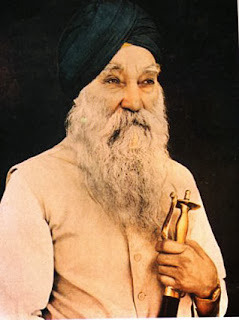 Master Tara Singh was arrested in Amritsar on February 24, 1953, by Punjab Government for violating prohibitory orders; Master's arrest was in 'sharp contrast to Congress party's resolution of January last on detention of Khan Abdul Ghaffar Khan in Pakistan. The Akalis in protest called for Satyagraha against interference in religious affairs. Masters arrest was only a diversionary move. The real objective was removal of the non-Congress government in Pepsu. The Assembly was dissolved and state placed under presidents rule on March 5. The Akalis looked at these provisions as a blot on the federal structure. These helped turn the Central Government no less tyrannical than the imperial Government under the British or the Mughals. Mr.Rao was sent as an administrator. Elections to the new house were not held for almost a year, till Nehru was able to subvert the alignment of certain elements in the United Front and win them over. Once the Government of India s operations in Pepsu were over, government promptly agreed to withdraw cases against Master Tara Singh and he was released on March 14. Meanwhile on December 13, 1953, Nehru went to the historic shrine of Fatehgarh Sahib: marking the site of martyrdom of two younger sons of Guru Gobind Singh, betrayed to the Mughals by his ancestor, Gangu Brahmin. The congregation in unison raised slogans in favour of Punjabi Suba, and refused to listen to Nehru who blamed Gian Singh Rarewala for organising the people's resentment. He also blamed Master for not intervening to restore calm. Chastened, Nehru left without making any speech. The demands of Punjabi speaking state, Himachal and Greater Delhi or Haryana or Jat Heartland were complementary in character. The demand for Maha Punjab or Greater Punjab by merger of Punjab, Pepsu and Himachal with or without parts of U.P., emanated from a desire to save Jalandhar Division 'urban Hindus from unenviable position in which they found themselves. They described Punjabi speaking state as he one designed to make the Sikhs "he real power in the state', as if that was a crime. This was quite reflected in Nehru's choice of personnel for the States Reorganisation Commission set up on December 29, 1953, as we shall see later. Nehru while briefing the members of the SRC had decried the demand for Punjabi speaking state interalia as a demand for 'Sikh State' wherein the Sikhs would be in majority. 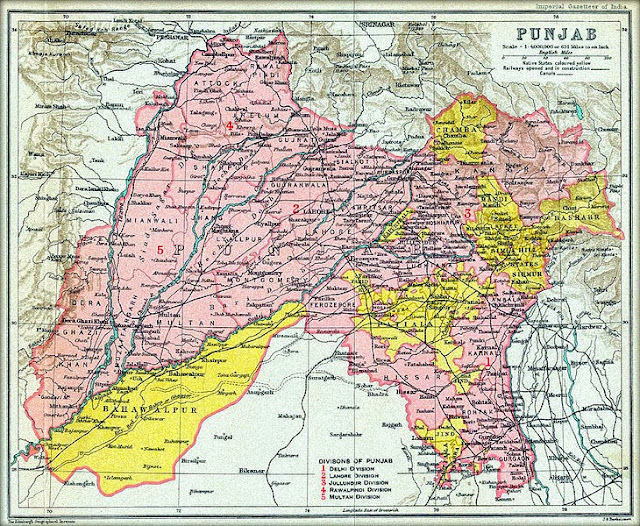 The report of the Commission on Punjabi speaking state was malefic and a forgone conclusion. Sachar now sought to involve Master after centuries of slavery, was quite discernible from the quantum of sacrilege against Sikhism. Throwing of cigarettes boxes in sacred tanks, tearing of Gurbani Gutkas and discarding the leaves in Bazars, shearing of Keshas of sleeping Sikhs, and desecration of Sikh places of worship that Cropped up as a result of the agitation. The Sikhs sponsored a complete hartal on August 22, 1957 . Master was still willing to accept Regional Formula if it was implemented. That was obvious at the first Punjabi Suba Conference held in Amritsar on October 12, 1958, under the auspices of Sant Fateh Singh, Vice President of the Akali Dal. Kairon, at the instance of the Central Government signaled Giani Kartar Singh to initiate steps to oust Master from Presidentship of the SGPC. He did this in the annual elections on November 16, 1958, by 77 to 74 votes. Master regarded the whole going on as an infringement of Congress "Akali accord on government's non-interference in the Gurdwara affairs. 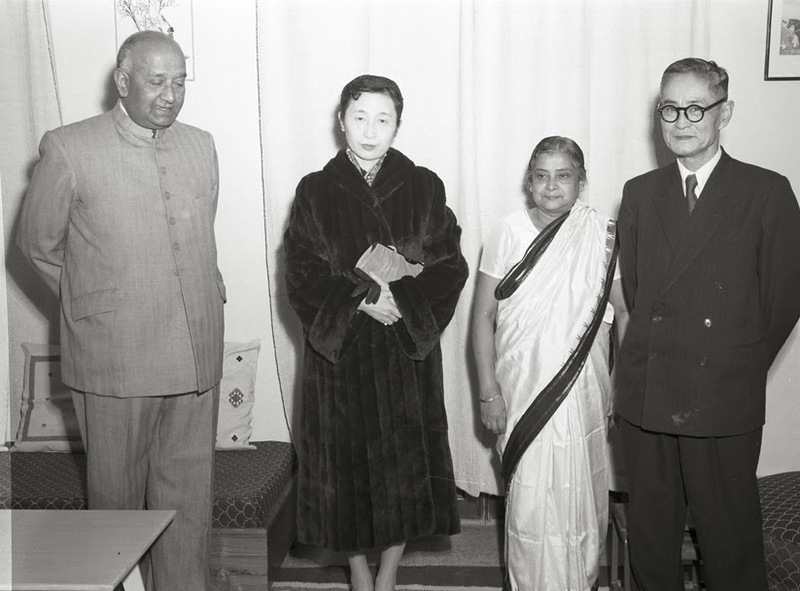 He met Nehru on January 2, 1959, to ask for arbitration on the issue. Akali Dal also decided to revive its political activity. Master decided to lead a silent procession in Delhi on March 15, 1959. The Punjab government arrested him a day earlier. It also cancelled the special train and permits for buses hired to transport the Akalis from Punjab to Delhi for the silent procession. Several arrests were made at Ludhiana and other places. This uncalled for action whipped up much enthusiasm in taking out the mammoth silent procession from Parade Ground, Delhi at 11 a.m. to Gurdwara Rakab Ganj at 5 p.m. by the people estimated at 50,000 to 300,000. Master was released on March 21, 1959, and thereafter he got Nehru's letter rejecting the arbitration asked for. Master threatened to go on fast from April 16, 1959. That made Nehru to invite him to tea on April 11 , 1959. The talks resulted in Nehru Master Pad. Nehru agreed ln principle to government's non-interference in the Gurdwara affairs. Master then the next step on May 7, 1959, when he announced to fight the forthcoming elections to the SGPC in January, 1960, over the issue of Punjabi Suba. The Congressite Sikhs earnestly took up the challenge. Kairon sponsored a Sadh Sangat Board to fight the Gurdwara elections. 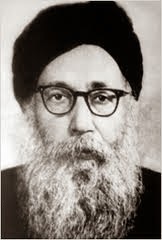 Giani Kartar Singh even resigned his Ministership on October 24, 1959, to devote full time to Gurdwara elections. The decision to bifurcate the composite state of Bombay into two states of Maharashtra and Gujarat on December 23, 1959, had an electronic effect on the Sikhs as now Punjab was the only bilingual state left. In the Gurdwara elections in January 1960, the Akalis swept the polls securing 136 seats with 4 going to the Sadh Sangat Board [of Congress]. The Communist sponsored Desh Bhagat Board which had played a retrogressive role was wiped out. In March, Akali Dal called upon all those who had joined the Congress in on after 1956 at its direction, to resign from the Congress and ib Committee. Only five Akali MLAs out of 24, and none from the three MPs, came out of the Congress. Master moved in, measured paces to force the issue. 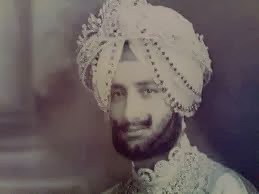 To begin with, he called a Punjabi Suba conventim at Amritsar on May 22, 1960. The next step was taking out of a peaceful procession at Delhi on June 12. Master planned to start a march on May 29 from Amritsar to marshal support on the way. These Akali moves came timely for Kairon, then passing through a difficult phase. He had been charged by senior members of he Congress Assembly Party, of dictatorial attitude and of charges of corruption, nepotism and favouritism. The judgment of the Punjab High Court in Kamal murder case in which strictures were passed against Kairon and his cohorts for concocting the case was glaring. Kairon seized the opportJnity, by arresting Master along with 200 Akali leaders and workers on May 24 all over Punjab. Police let loose a reign of tenor, with false cases being concocted against Akali sympathisers. Thus, Kairon was able to force Akalis to launch an agitation, second time in six years, when from May 30, a jatha of 11 Akalis each would move to Delhi and offer arrests. Kairon's sealing of the offices and press of pro-Akali dailies, Parbhat (Urdu) and Akali (Punjabi) and arresting their staff members evoked strong protest from AII India Journalists Association as an attack on freedom of the press. The procession at Delhi was banned and its borders sealed to prevent ingress of the Sikhs. The congregation held at Gandhi. Grounds near Gurdwara 'Sis Ganj by the Sikhs of Delhi was disrupted by the police on June 12, 1960. Thousands of Sikhs, collected in front of the Gurdwara, were subjected to lathi charge and tear gas shells. These resulted, according to some sources, in seven deaths and a thousand injured. Then, there was a list of 258 persons found ' missing. Police was believed to have secretly burnt truckload of bodies of those dead and not yet dead. The question of police atrocities came up before Indian Jurists, and had its echo in the U.N. General Assembly with Foreign Minister of South Africa articulating the inhuman excesses. About two thousand Akalis were arrested. The Sikhs were hounded everywhere in cafes, restaurants, and shops. Even passers by were not spared so much so that Congressmen like Giani Kartar Singh who had just bitterly fought Master in the gurdwara elections, condemned the police excesses. Delhi opened second front of the morcha for Punjabi Suba with Rachhpal Singh, President of Akali Dal, as dictator [presently turned a stooge of the Govt: a mercenary], and offered 11 arrests dailly. 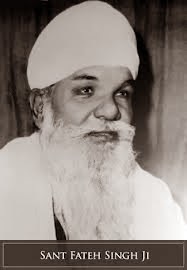 Sant Fateh Singh took over as dictator of the morcha, agitation, at Amritsar after Master's arrest, he competently organised the agitation and by July 25, 1960, as many as 17,821 Akalis had been arrested in Amritsar alone. The Hindu communalists of various hues –Congressite-Arya Samajists, office holders of Sanatan Dharam Pratinidhi Sabha and a host of others including Jagat Narain termed the demand for Punjabi Suba as a step towards independent Sikh state and offered their support to the Govt. So also was the case with Sikh leaders who sought to curry facour with the government. Nehru's 1960 Independence Day broadcast terming the agitation as a stage tamasha, only reflected his closed mind. The Punjab Governor's ordinance on October 2, declaring Punjabi as the official language at district level on the basis cf Regional Formula was belated recognition of dawn of wisdom in the government. Ranbir of Urdu daily Milap on August 21, 1960, exhorted Punjabi-renegade Hindus to own up their mother tongue and not be 'a traitor' to their mother. RSS leader, M.S. 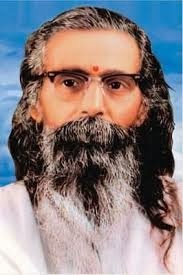 Golwalkar in November, 1960, when on a visit to the Punjab, urged Punjabi Hindus to "accept Punjabi as their mother tongue" with all its consequences. Nehru failed to rise to the occasion. Rather on November 17, 1960 at the Agricultural University at Rudrapur [UPJ, when some Sikhs interrupted his speech shouting Punjabi Suba Zindabad, Nehru burst forth "You fools, your Punjabi Suba has been left in Pakistan. Go to your Suba. Why are you here ?". Sant Fateh Singh on October 29, wrote to Nehru, 'Your statement has brought the things to a level that I am left with no alternative but to resort to fast unto death to prick your conscience.' [And fixed December 18, 1 960, as the beginning of his fast]. Two days later, Nehru repeated his December 1959 statement that "Punjabi is the main language of Punjab" and Fateh Singh gave indication of grasping Nehru's conciliatory hand. But there was guile in Nehru's talk to declare entire Punjab a unilingual state with Punjabi as state language. Kairon's followers, a battery of Sikh MLAs, lined up to condemn the fast as anti-democratic and against the tenets of the Sikh faith. Kairon released Master on January 4, 1961. 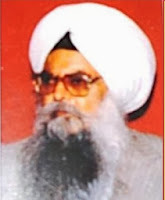 Already under his instructions, Superintendent of Dharamsala Jail had worked upon Master's gullibility that Sant Fateh Singh had stolen a march over him in popular estimation and threatened his leadership. Sant Fateh Singh refused to accept Nehru's telegram from Bhavnagar offering negotiations on unilingual Punjabi speaking state. Fateh Singh's statement made Master to fly to Bhavnagar for personal talks with Nehru on January 7, 1901. Nehru and Master had sharp exchanges. Nehru ridiculed the overall Sikh percentage in India, and said imperiously he had had enough of them. And, if they persist, he would teach them a lesson that they would remember for generations. Master said if it came to that, the Sikhs would know how to defend themselves. The responsibility for disintegration of India would be that of Nehru, and history won't forgive him. He left disappointed. Nehru decided to reiterate the following day that, "lt is not out of any discrimination of Punjab or distrust of Sikhs that this process of forming a linguistic state was not possible after applying it elsewhere." There was nothing new in Nehru's empty statement but Master then in Delhi sent a telegram to Fateh Singh to break his fast as, "lt fulfils requirements of vow. 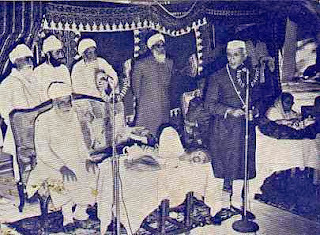 Fateh Singh's breaking his fast on January 9, 1961, came as an anti-climax. Sikhs then suspected the bonafides of Master. Some felt he did it because he was stung by the jealousy of Sant. To the Sikh masses, it indicated that the struggle for Punjabi Suba was lost. Master was hooted at Manji Sahib on January 11, and again the following day. The Sikh gathering at Mukatsar for Maghi Mela refused to listen to him. His influence was on the wane. [Later] Nehru held three rounds of talks with Fateh Singh on February 8, March 1, and May 8, 1961 , when he advanced specious arguments for nm-formation of Rrnjabi Suba. He, interalia, argued. [Nehru's objections] 1. There would be "a large section of Hindus as a religious minority in the Punjabi speaking state who would not be willing to co-operate; what safeguards would be given to that minority?" Nehru sowed the seed of pseudo-Gurudoms or Deras in Sikhs. Here he is .seen with Kukas or Namdhari Guru. S. The government was under heavy burden - border dispute with China, threat from Pakistan, mob violence in Karachi, communal riots in Jabalpur and Sagar in Madhya Pradesh. Therefore, Punjabi Suba can not be formed. 7. When people were going to the moon, why should hardworking people of Punjab ask for Punjabi Suba ? 8. 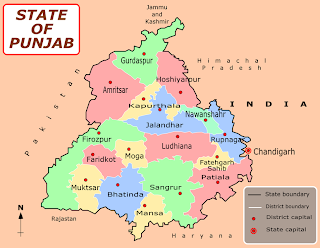 By conceding Punjabi Suba, Five year would stand obstructed. 9. Pakistan and China had encroacfred on our land, therefore no Punjabi Suba. 10. Urban Hindus in Punjab were annoyed because more and more people from rural areas were coming forward and participating in public life causing annoyance to Hindus. Sant Fateh Singh said, "Panditji you are considering as if some Sikh state was being carved out. 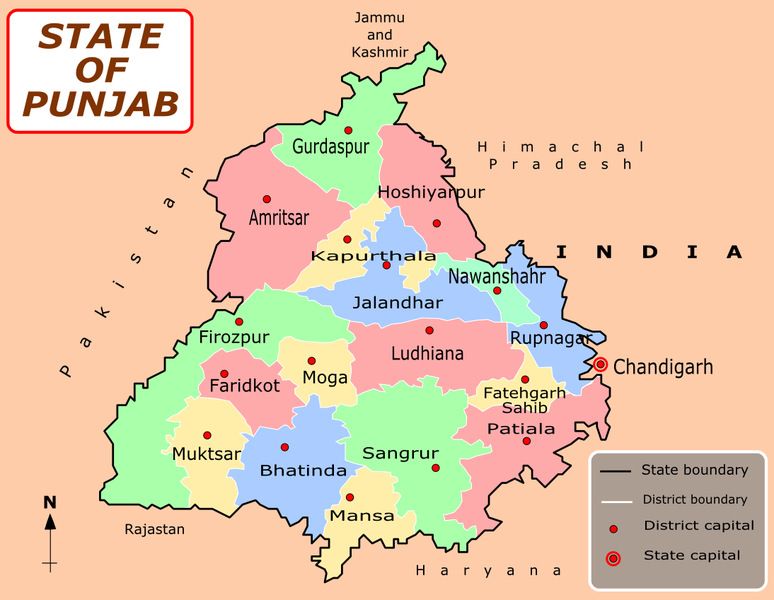 I may make it clear that Punjabi- speaking state would be like other states of Bharat. " Nehru said that it was his final opinion that there would be no Punjabi Suba during his life time. 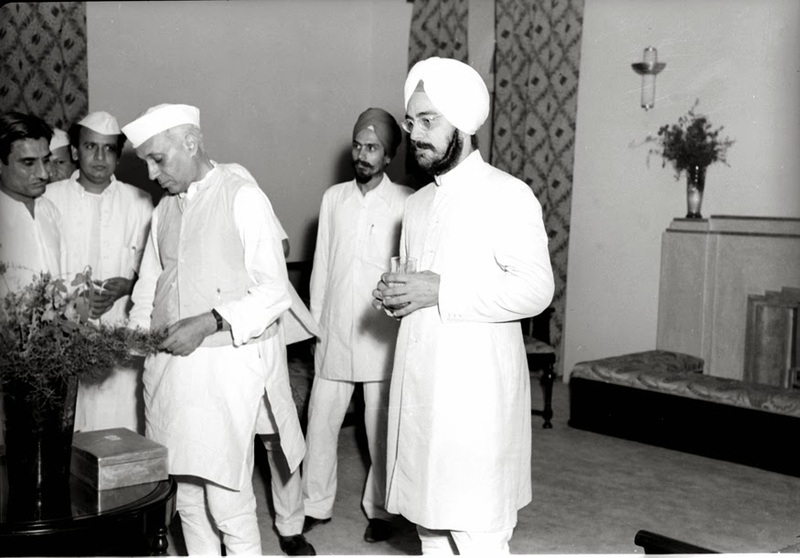 Shortly after wards Nehru recorded a note "For Eyes Only" For his successors that in future no concession whatsoever should be made to the Sikhs. Going through the brochure of these talks some one aptly summed up his attitude towards Nehru in a monosyllable in Punjabi, 'kameena' mean in English language does not adequately convey the Punjabi nuances of the word. Nehru, in short from these talks comes out a rabid communalist pucca Hindu, rabidly anti-Sikh. Meanwhile, a section of Punjabi Hindus, because of tense atmosphere, disowned Punjabi in the 1961 Census. Sant Fateh Singh indeed was a disappointed man. He again talked of the need for a supreme sacrifice to achieve the objective. The General Body of the Akali Dal on May 28, 1961 authorised Master to go on fast unto death. Master fixed August 15, for its commencement. The resolution adopted, interalia, stated. The statement of Harcharan Singh Hudiara that after Master and Fateh Singh "the new Akali leaders might give a call for an independent Punjabi state instead of Punjabi Suba" was significant. Master's offer to accept a plebiscite on the issue in the Punjabi region, which he said would be discriminatory against the Sikhs, evoked no response. Master as such began his fast on August 'l 5, 1961. Fateh Singh drew blank in his talks with Nehru on August 24-25. In Parliament on August 28, 1961 , he made an offer to go in for a high level enquiry into charges of discrimination against the Sikhs. Nehru was willing to face civil war, and exterminate the Sikhs a la Shankractrarya,s extermination of Buddhists. The Akalis had the option to go ahead for Punjabi Suba with the Sikh community annihilated. Punjabi renegade Hindus now activated themselves to sabotage the settlement. 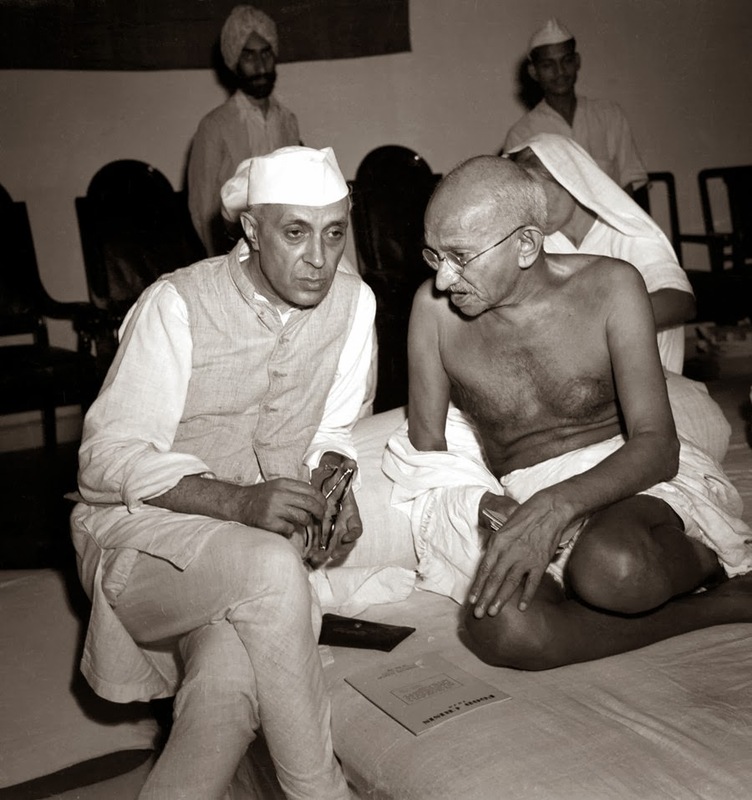 Master accompanied by Malik saw Nehru on. October 30, The government issued notification the following day constituting the High Powered Commission consisting of S.R.Das, as Chairman, and C.P. Ramaswami Ayar and M.C. Chagla as members, to go into the charges of discrimination against the Sikhs. It immediately invited Akali protest Master asserted that mediators had informed him that Commission would consist of Patanjali Shastri, Ramaswami Mudaliar and another nominee of the government. Malik later asserted that Nehru had actually backed ant of his words. The Akalis legitimately doubted the integrity of the Commission and decided to boycott it. 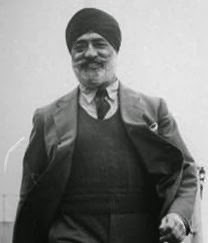 Kartar Singh Chawla, an Advocate appeared in his personal capacity and wanted to be granted amnesty for referring to some 'secret circular' and other government documents' to establish discrimination. Since the Commission was not interested in this line of enquiry it declined. Pratap Singh Kairon brought in Dr. Gopal Singh Dardi, who appeared before the Commission on behalf of Nationalist Sikhs, a nebulous [vague] entity. He contented that there was no discrimination but rather the, Sikhs were accorded preferential treatment. The Commission was a big Tamasha and its report a foregone conclusion. The only beneficiary was Dr.Gopal Singh who was rewarded with nomination to Rajya Sabha, later he got two Ambaisadorial appointments, was a Member of the Minority Commission, Lt. Governor and then Governor. [in fact Gopal had rendered similar services during Partition process as well] In between when he was out of job, he would start fulminating till his mouth was shut again. Master's breaking the fast without achieving any thing created turmoil in the rank and file. It helped to initiate the process of disintegration of the Akali Dal. 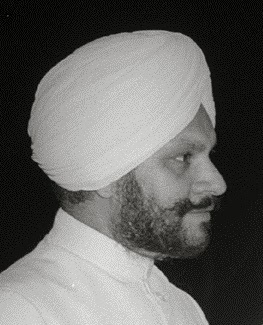 Lachhman Singh Gill, an ambitious but unscrupulous government contractor, and Jiwan Singh Umananargal on Nwember 15, 1961, asked Master to resign from Presidentship of Akali Dal. 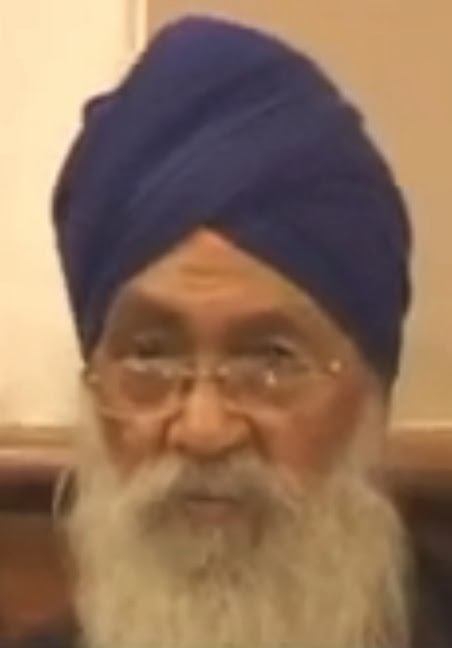 Fateh Singh sided with Gill and others in the ensuing confrontation. Eventually the case whether Master and Fateh Singh had broken the vow went to Panj Piaras (fiva beloved ones) -of Akal Takhat Golden Temple to adjudicate. Their verdict on November 29, 1961, held both of them guilty of breaking the vow with Fateh Singh being treated leniently. This contributed to the parting of the ways between Master and Fateh Singh. Sant Fateh Singh the rising star in the Sikh politics, personally concentrated on defeating Kairon. Tur won the seat, but the polling officer declared Kairon elected by 34 votes. The Chief Election Commissioner, Sundram, after an on-the-spot study reportedly told Nehru of the grave abuse of electoral processes. Nehru, however, justified them saying "l want Pratap Singh Kairon to be the Chief Minister of the Punjab." Kairon's position was now weakened, but that all the more made him obdurate. Firstly, he began talking through his turban, of Punjab's merger not only with Himachal Pradesh, but also Rajasthan, part or whole of Jammu and Kashmir to make for a strong border state. Secondly, he started harping on Jat culture and character in the process seeking to encourage revolt in Akali Dal against leadership of Master, a Khatri. Kairon now adopted a patronising attitude towards Sant Fateh Singh, especially the Akali dissidents who were Jatts. Sant Fateh Singh who emerged as leader of the breakaway faction reiterated the demand for Punjabi Suba on a purely linguistic basis. The Hindu press, in glee at the division in Akali ranks, started building up Sant Fateh Singh. The Chinese struck in a major way scattering the Indian forces. The Sikh soldiers who fought the Chinese valiantly were special target of Chinese atrocities. But these had no impact on Punjabi renegade Hindus and their helmsman Nehru, who even in his wretched state continued to regard the Sikhs only as mercenaries. 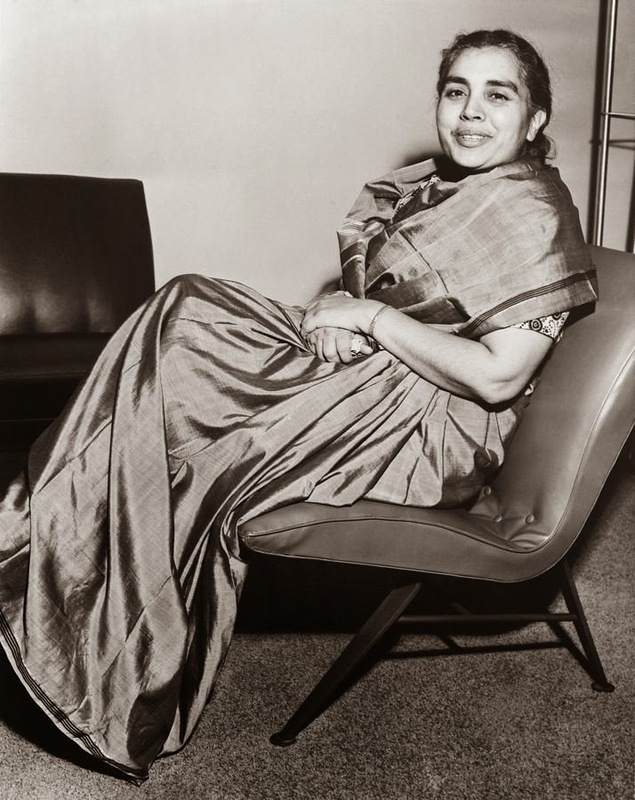 For instance, Dr: Sushila Nayar, Health Minister who had once put her fingers on the pulse of M.K. Gandhi, November 11 , 1963, ridiculed the Sikhs and their Gurus by calling them 'Just unshaven Hindus distinguished by their unshingled, unshorn appearance, blindly imitating their ancestors who lacked the leisure and facilities for proper shave". On June 25, 1963, Acharya Mnobha Bhave, had ridiculed the practice of present day Sikhs wearing the Kirpan (sword) which like Gandhi earlier he called as an outmoded weapon. In early 1964, Bihar government officials shaved off the moustache and the beard of a Sikh driver who, did not let them take over his vehicle. After a judicial enquiry was instituted, senior officials of the Bihar Government went to Patna Sahib Gurdwara and publicly apologised. Finally, five days before Nehru's death, May 22, 1964, Himachal police 'fired at the Sikh historical shrine of Paonta Sahib, killing many Nihang Sikhs. The police desecrated the historic shrine. "Are you looking for a traitor?" Pointing to Nehru, he continued, "Here is he. His name is Jawaharlal Nehru." Nehru could not strike back in self defence. The same evening he had a paralytic stroke which crippled his body; he had already been out of his mind since 1959. But he did not follow the democratic traditions and resign. Meanwhile. the Working 'Committee of Sant Akali Dal in December 1962 had decided not to press the demand for Punjabi Suba because of the national emergency. 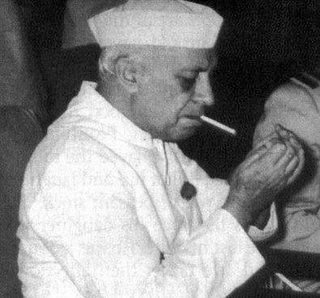 Dispirited, Nehru passed melancholy days till he passed into history on May 27, 1964. It was whispered in a hush hush manner in the corridors of South Block that he had died of syphilis. With Nehru's death, Kairon's exit was only a matter of time. An era passed away in the history of Punjab and of the Sikhs. Nehru era was marked by a rapacious policy of negativism towards the Sikhs. 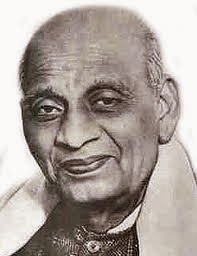 Significantly, Sardar Patel in one of his observations had regarded Nehru's attitude towards Kashmir and towards the Sikhs as that of "emotional insanity" . We quote two Sikh assessments one in 1952 and the other as homage on his death. "Pandit Nehru is, the spear head of militant Hindu chauvinism who glibly talks about nationalism, a tyrant who eulogises democracy and a Goebblian liar-in a short, a political cheat, deceiver and double dealer in the service of Indian reaction." "When an issue inviting the Sikh right's, even on the basis of justice and equity came up, Nehru lost his cool and emitted uncontrolled, instinctive, and emotional outburst fuelled by wild passions. He played ' the Hindu communal card repeatedly." His Gangu Brahmin heritage weighed too much upon him, When he spoke of national integration, in Punjab he always meant the integration of Sikhism within Hinduism. He patronised the schismatic Sikh sects to weaken the main body of the Khalsa. He left behind a deep legacy of anti-Sikhism, and a blueprint for their annihilation. Later, these came quite handy to his daughter Indira. Who said Nehru was a democrat, he was a great autocrat and dictator having only his interest to be PM of India. He has ill will towards sikhs, the minority. It seems he had something historical relationship with the sikhs. And he was against the sikhs special status, which he promised before independence. He was great fraud like Mahtma Gandhi, whose legacy he had followed, Hindu Chauvinist. To continue his supremacy in india. Hood daughter Indira did what he could not do to the sikhs. There is some special relationship historically with sikhs. One of Nehru's ancestors was managed kitchen in Guru Gobind Singh family. And that kasmiri brshmin showed his true colour by handing over the two small innocent and fearless lions to Sirhind Suba. The Nehru family has been changing religion and colours with time as per the occasion and circumstances. The Anand Bhawan was Ishrat Manzil,a brothel run by Moti Lal Nehru, who was simply a clerk and how could he afford to send Jawahar Lal Nehru for studies in England. There are lot of loopholes in the history of this family and more research is required of Nehru's ancestry..